With the build-up of APWA’s greatness over the years now comes a time where change will ignite. Be a part of history as APWA hosts a new chapter in professional wrestling. *Be a part of “NEX GEN DESTRUCTION 2018”! 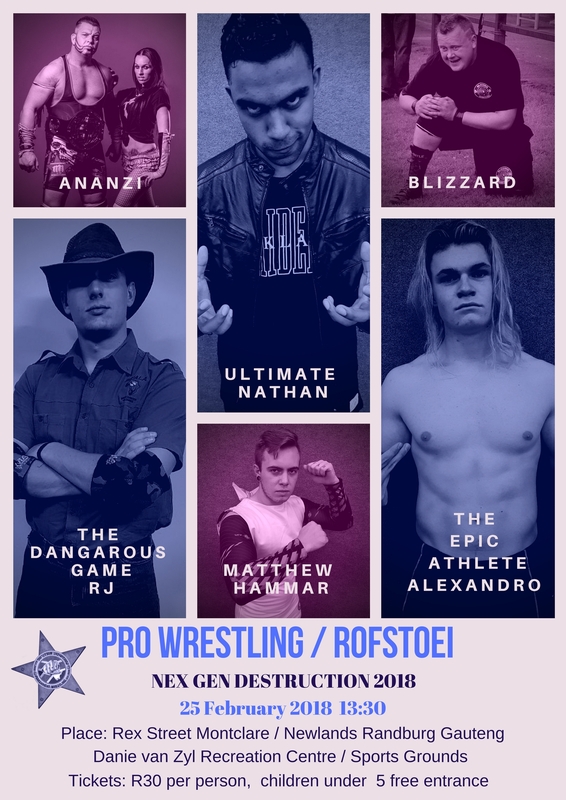 The event will showcase diversity in professional wrestling, with different styles, superstars and mouth-watering action. Bring your friends and family to a live pro wrestling event that will keep you on the edge of your seat. 1. Rookie of the Year 2018 – fatal five way. 2. Mystery Superstar Surprise Return!!! 80’s South African Pro Wrestling Legend Danie Voges boots back in action! !